View More In Cake Pans. Make a simple 5-layer cake with this set of 6-inch pans and just one cake mix. 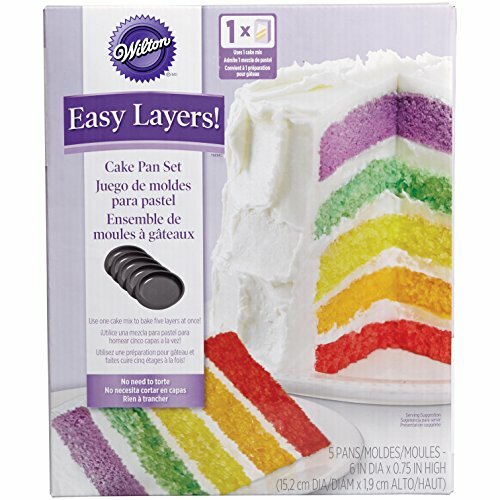 With each layer 3/4-inch, bake a fun rainbow cake, ombre cake, or a yummy chocolate cake with different fillings to separate the layers.